Florida law, specifically section 542.335, Florida statutes, generally authorizes courts to enforce non-compete and other post-employment restrictive covenants, provided the agreements are in writing and signed by the employees against whom enforcement is sought. 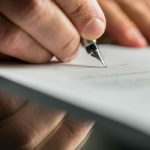 The agreements must also be reasonable in time, area, line of business, and are supported by one or more legitimate business interests supporting the restrictive covenants. A legitimate business interest generally includes trade secrets, confidential or proprietary information, and key relationships with pivotal customers. There is no standard, easy answer for whether a non-compete agreement is enforceable. The courts retain significant latitude in itemizing enforceability. We can offer real advice and counsel based on years of experience with an emphasis on building toward a workable and efficient resolution. The Law Office of Nnamdi S. Jackson can review the relevant non-compete agreement, assess the relevant facts and determine the appropriate course of action.